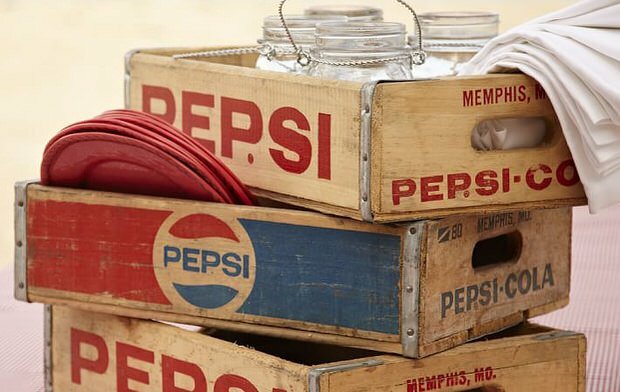 We all love vintage soda crates! Ok, well most of us. I mean, what a cool reminder of a simpler time, filled with simple fun… like an ice cold soda with friends. Remember when that was a cool thing? Ah, for the good ol’ days… They are still around, although admittedly, harder to find. We have good luck finding them in our small., local antique shops, occasionally for around $10. A lot of bloggers find them on Craigslist, especially if you live in larger area, or in a rural area in the south! However you find them, there is always the problem of what to actually do with them. 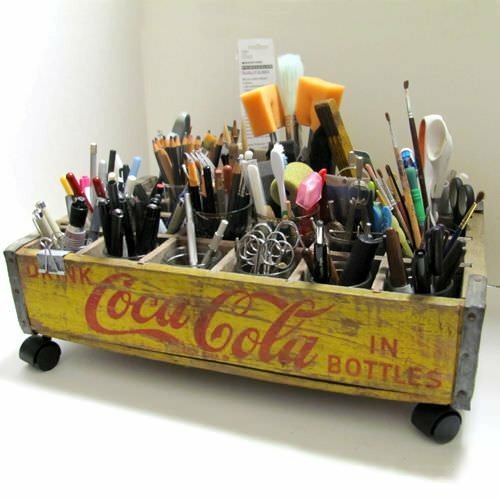 I mean, they are cool and all, but how can you make them useful, and display them all at the same time? 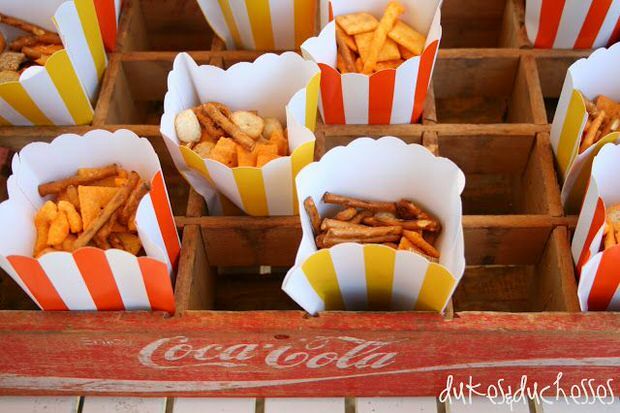 We’re so glad you asked… We found 7 ways to repurpose old soda crates, and we’re sharing them with all of you! 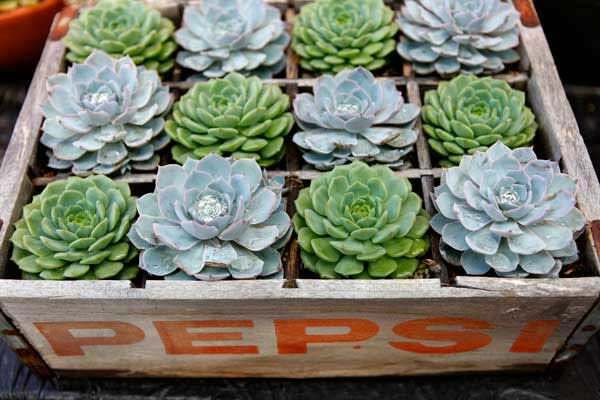 But first, if you are one of the people who will comment later and tell us they are impossible to find… Kelly at ‘Eclectically Vintage’ has a story for you… You have to read how she got access to 2000 free vintage soda crates! Why doesn’t this stuff ever happen to us? 🙂 Ok, now on to your inspiration! Photo by ‘Pottery Barn‘. 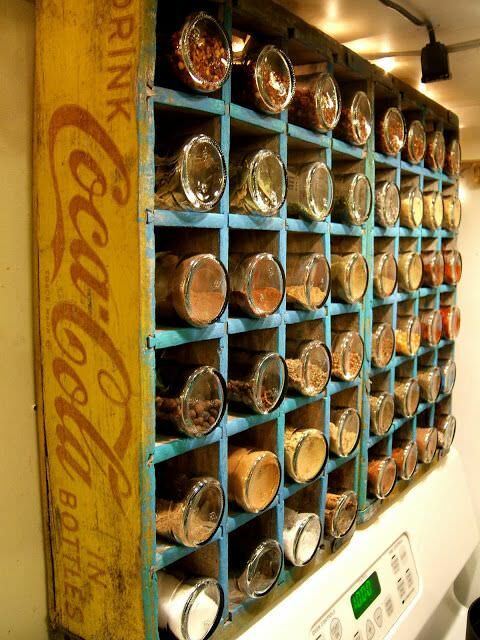 This Coca Cola toy crate from ‘Nalles House’ is a perfect way to make sure your kids learn the importance of the history behind vintage items! Quick tutorial makes this an easy project. 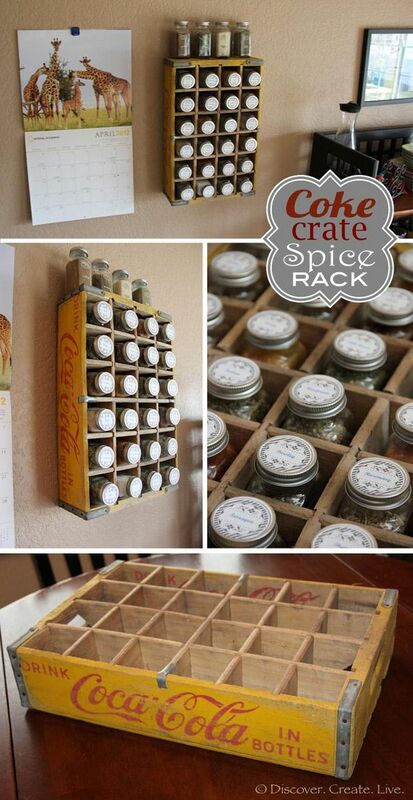 Love this tutorial for this Coke crate spice rack from Kate at ‘Discover, Create, Live’… Easy! 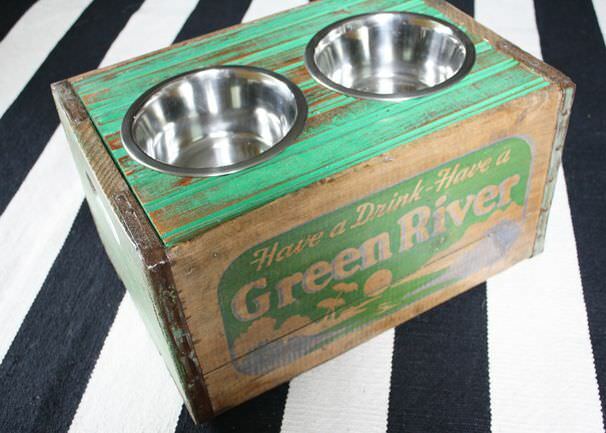 From ‘Ryobi Nation’, this repurposed soda crate dog dish is very cool! I just wonder if the constant drool and water dripping might rot the wood quickly… Sealer! 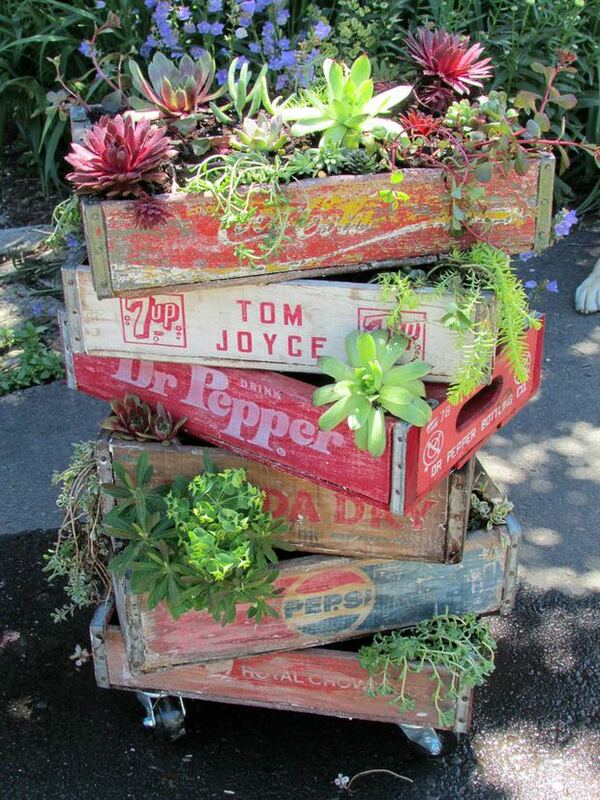 From ‘Dukes and Duchesses‘, this is a brilliant idea for using old soda crates! 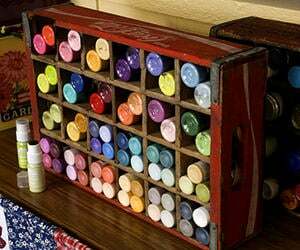 From ‘Pop Sugar‘, this is an easy, “pop it in” project! 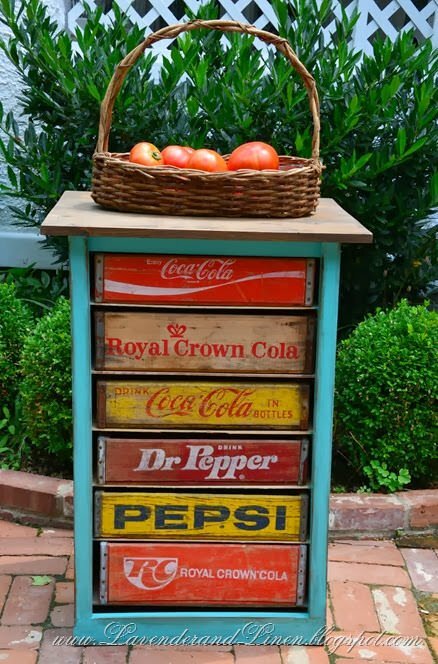 Lastly, consider using them as furniture pieces, like this DIY vintage soda crate chest tutorial by Mary at ‘Lavender and Linen’… So cute! Previous Post The New Neutrals! Those clear boxes remind me of the acrylic beanie baby storage lids. 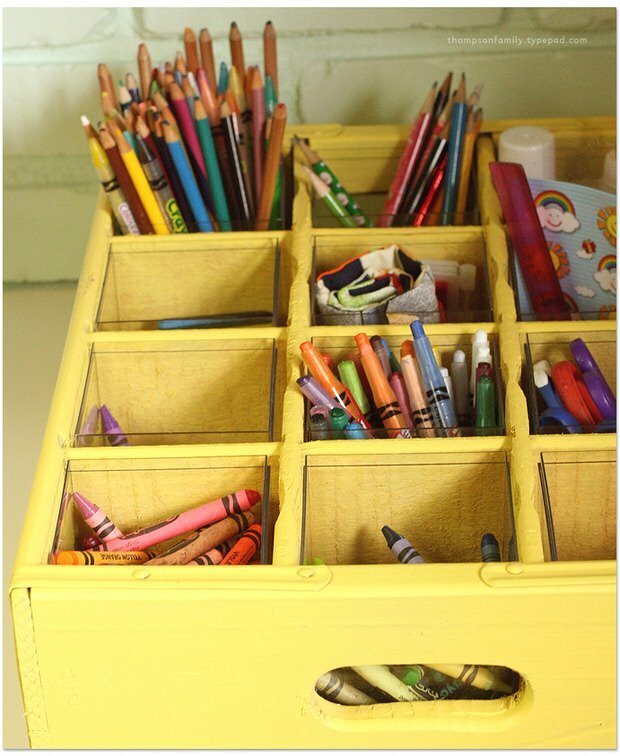 where do I find the square plastic inserts (seen in the photo with the crayons in the crate) to go inside the soda crates? my crates have big gaps and office supplies would fall thru. thanks! Hi Carrie! We’re going to take a wild guess and say dollar store pencil cups? Do any of our readers have any other ideas for Carrie?